Stonewall Jackson made the song “B.J. the D.J.” famous in 1963. Have you heard it? It tells a story about a friend of the singer who was known as B.J. He became very popular in his community at a young age by spinning records at local record hops at night and also working as a disc jockey on the morning radio show. There’s a line in the song that gives insight to the crux of the tale: “She warned against his loss of sleep and driving fast in that old heap. And that he had to be at work by five.” B.J.’s mom was concerned because he worked two jobs and got little sleep in between. Do you burn the candle at both ends like B.J. did? Train controllers and supervisors to recognize the effects of fatigue. Establish a maximum limit on controller hours-of-service, which may provide for an emergency deviation from the maximum limit if necessary, for the safe operation of a pipeline facility. Your company’s Control Room Management plan contains guidelines on how fatigue is to be assessed and managed to avoid potential safety risks associated with rotating pipeline controller shift schedules. 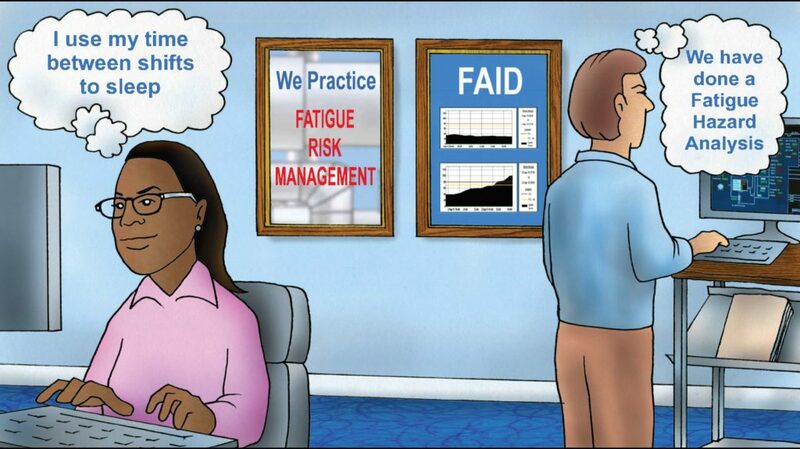 The management of fatigue is a responsibility that is to be shared between the company and the controller. For example, the company must provide adequate off-duty time, and the controller must use that time for getting the amount of sleep needed to remain alert while on shift and commuting to and from work. The company must provide training and education related to the management of fatigue, and controllers must then apply what they’ve learned. When considering your own personal Fatigue Risk Management (FRM) plan, identify one or two changes that will help you better manage your fatigue, on or off the job. Develop achievable goals to help you make those changes. Once you have created new, positive habits related to those changes, tackle one or two more. The key is placing importance on your own self-care! How well have you applied the suggestions made in the previous articles this year? Have you refreshed your sleep environment, or are you communicating with family and friends to make time for social activities and relationship building? Have you assessed the quality of your sleep and consulted a health professional, if needed? Following up on these topics, and others discussed in FRM workshops, is one way you can take responsibility for managing your fatigue so that you’re fit for duty and enjoying your time away from the job.